“Love is patient, love is kind.” You might be familiar with this Bible verse. 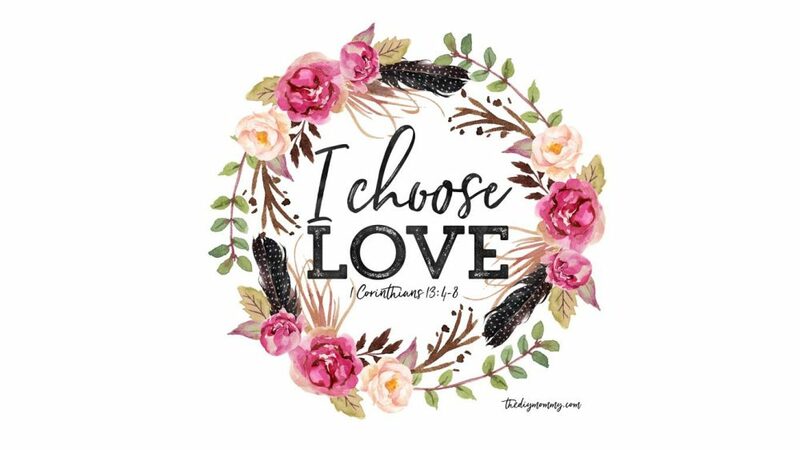 It’s one of the most popular verses about love there is and it’s often recited at weddings and printed on artwork. We even have this verse hung on a sign in our master bedroom. 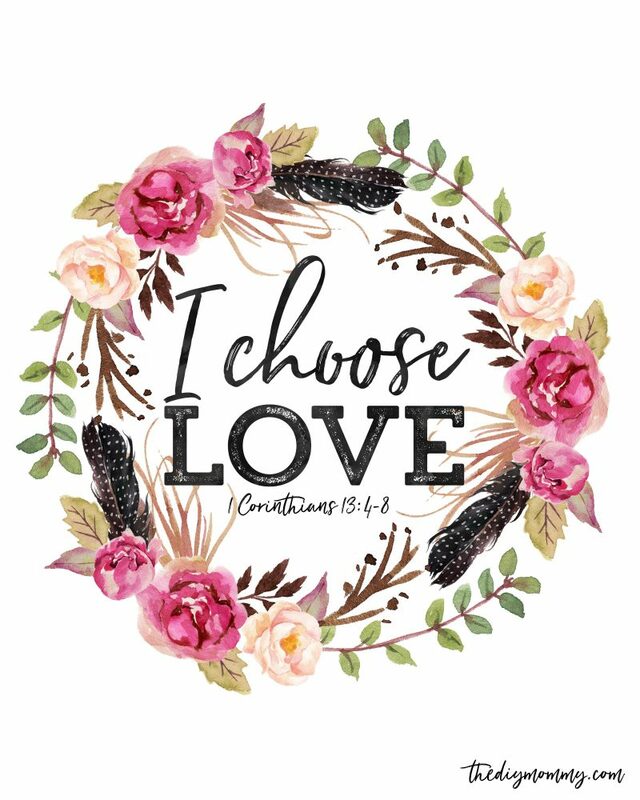 I adore this verse, and I think it’s such a good reminder about how we need to CHOOSE to love. It’s not a fluffy feeling, it’s not a fleeting thought… it’s a choice to be unselfish and graceful and forgiving. 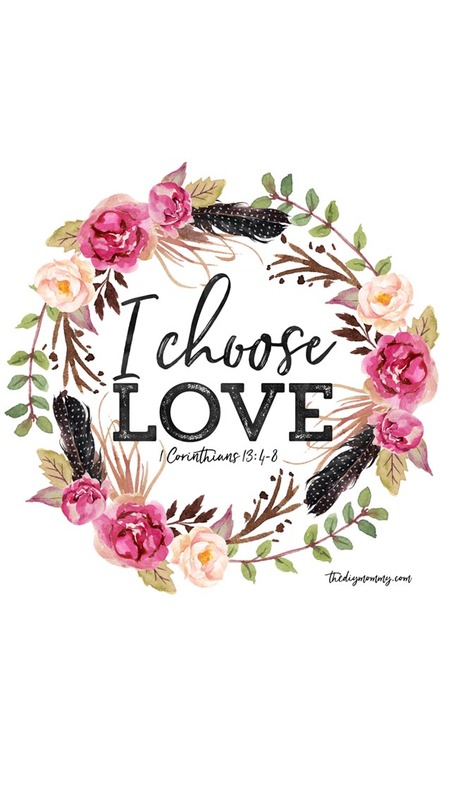 My marriage, my motherhood, and my friendships have their ups and downs and things aren’t always sparkles and rainbows, but I want to CHOOSE to love my hubby, my friends and my kids through all of the trials we might face. 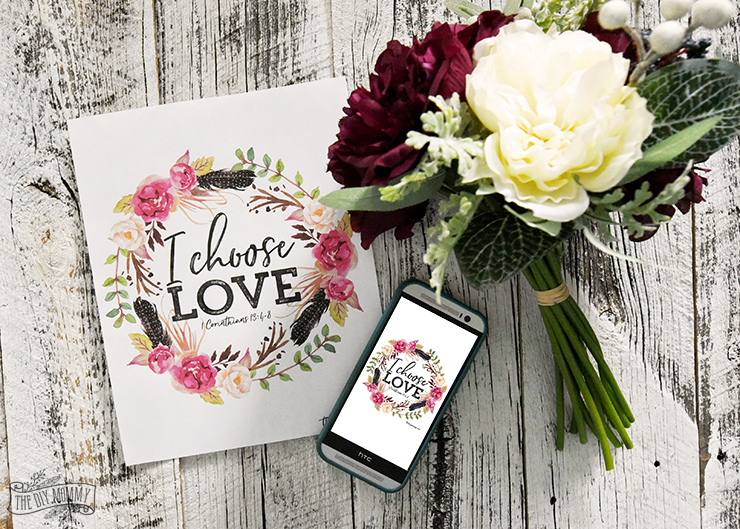 I often need a reminder of how I need to choose to love, so I’ve created this pretty, floral artwork in honour of LOVE and in preparation of Valentine’s Day coming soon. Would you like this artwork, too? 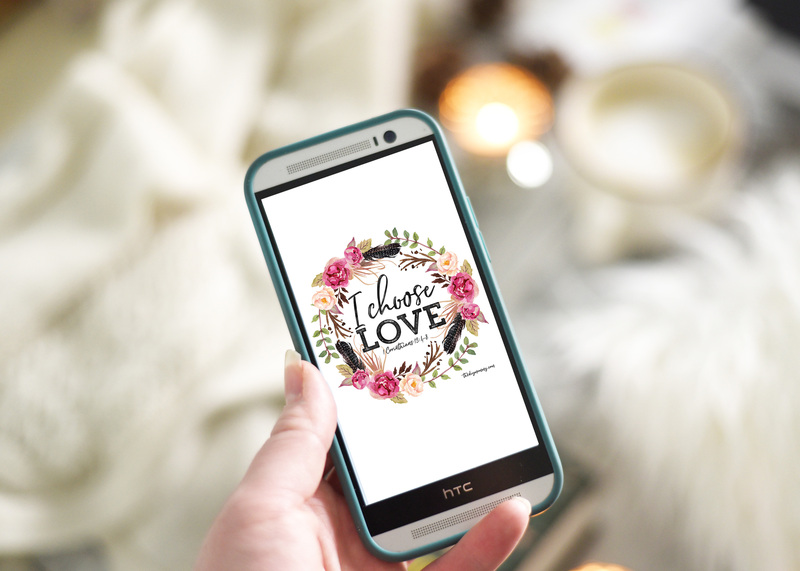 I’ve created a free printable artwork download just for you, along with free downloadable desktop wallpaper and free iPhone / smart phone wallpaper. Hooray for love! Simply click on each image below to open up the full sized graphic, and save that graphic to your computer or your device to print it or use it. Please remember that these are for personal use only, thank you!